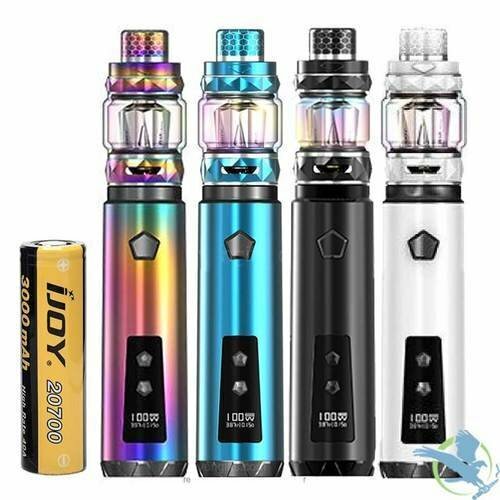 IJOY SABER 100 is a single 20700 battery regulated tube mod! The structure is compact, all CNC engraving, rich colors. The IWEPAL chip is carried inside, which adds short-circuit protection, low-power protection, and anti-reverse protection of the battery. This makes the mod safer and more reliable and removes the unsafe factors of the mechanical mod. Personalized pentagonal fire button and adjustment buttons, with OLED display, 100W power adjustable, strong output, easy to operate. Support large-diameter tanks. The battery is removable and supports USB fast charging. When equipped with a 20700 battery, the energy density is almost 1.5 times higher than 18650, and 18650 battery can also be used through the battery adapter!